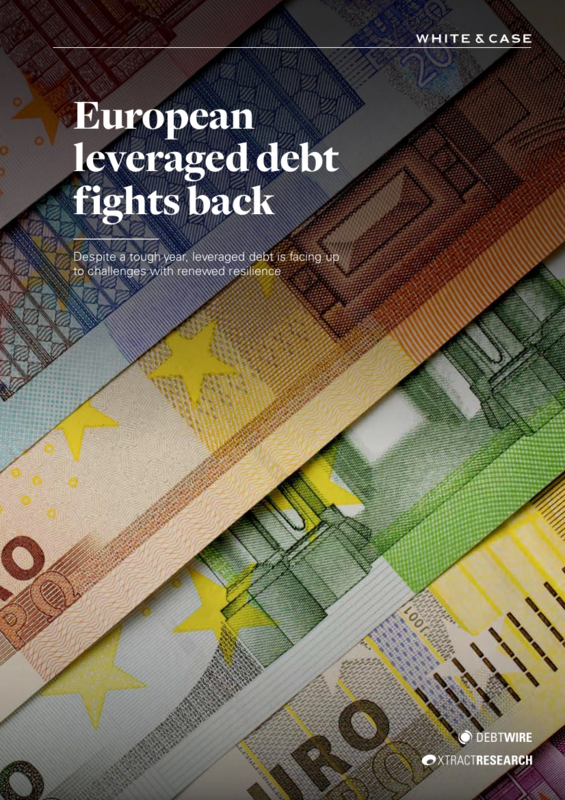 We are pleased to present European leveraged debt fights back, published in association with White & Case. Using data from Debtwire Analytics and Xtract Research, the report highlights the key factors and trends that are driving leveraged loan allocations and high yield bond issuance across Europe and the rest of the world. Combined European leveraged loan and high yield bond issuances stood at €222 billion by the end of 2016, up from €179 billion in 2015.This was mostly made up by the leveraged loan market, which saw €135 billion-worth of issuance. In Europe, covenant-lite deals accounted for 39 percent of the total of first lien loans in 2016, compared with 26 percent in 2015. The use of proceeds for leveraged loans in 2016 changed drastically as the year moved forward, with issuers prioritising debt refinancing. In Q1 2016, for instance, 77% of European leveraged loan proceeds were used for LBO financing. Q4, however, 73% of proceeds were being used for refinancing or repricing purposes. 2016 witnessed a resurgence of payment in kind (PIK) notes (whereby the borrower does not pay cash interest until the principal is repaid or redeemed)—an indication of investors willing to move further out on the risk curve for yield. There were 11 PIK notes issued in 2016, a substantial increase over the four in the whole of 2015.